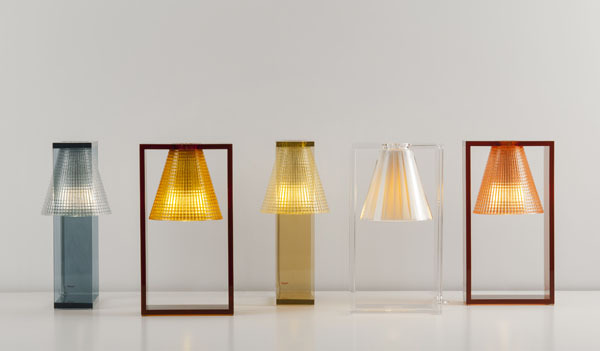 Given the success of the first small ‘Light Air’ table lamp by Eugeni Quitllet for Kartell, the range has been expanded with the addition of two new wall and hanging lamps. Light Air is a delusive table lamp, a pendant luminaire that defies the laws of gravity, “like a ballerina floating in the air, the most recent Light Air model with a lamp shade cut in the manner of crystal providing even more precious light. A luminous jewel made entirely of plastic,’ according to Eugeni Quitllet. The graphic structure is essential and modern, as well as rational and magical. Its striking rectangular framework formed from two polymethacrylate pieces (the most transparent plastic) is the same technology as is used for car headlights. A conical parabola diffuses a ray of light within the structure. 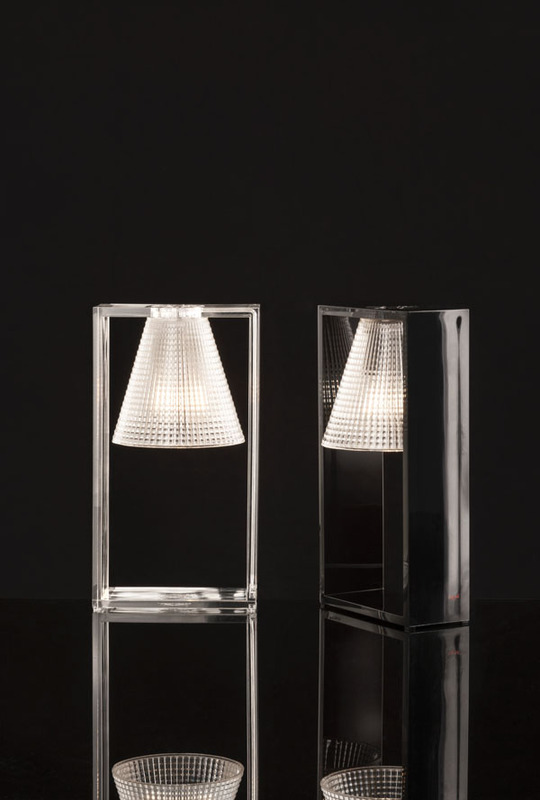 This lamp uses LED technology and two versions are available: one ‘traditional’ and one mirrored. Light Air sums up Eugeni Quitllet’s creative approach: a blend of drawing, sculpture and contemporary archaeology, the Catalan designer literally conjures up silhouettes from the depths of the material, in the form of ultra-plastic skeletal objects whose elegance toys, often humorously, with solids and voids. 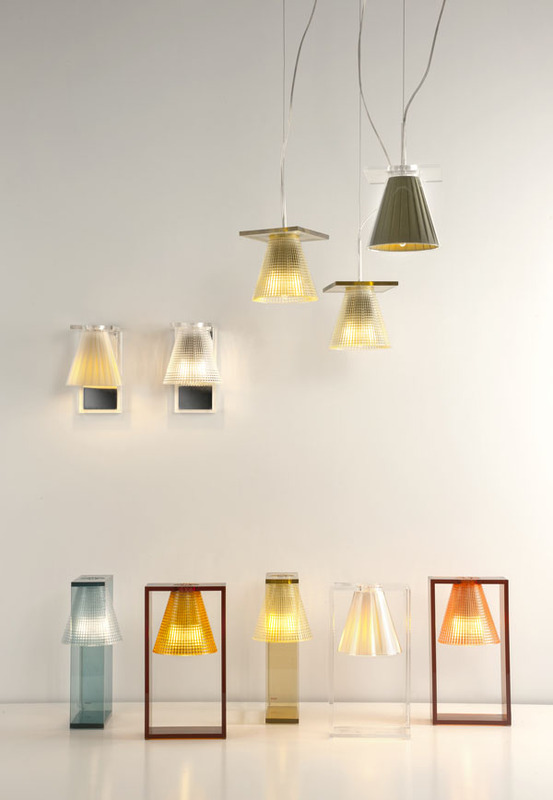 Objects hanging in frames is one of Eugeni Quitllet’s signature styles with the Shine vases, the Light Air lamp, the 0’Clock timepiece and now Light Air, a real product line available in a selection of new colors.